Staging an event with a Mardi Gras, circus or medieval theme? Or perhaps just wanting to enhance your event with a fascinating mysterious character. Mike Battie's jester is exactly what you're looking for. Mike Battie brings his multitude of juggling, unicycle and physical skills to this amazing-looking strolling jester. 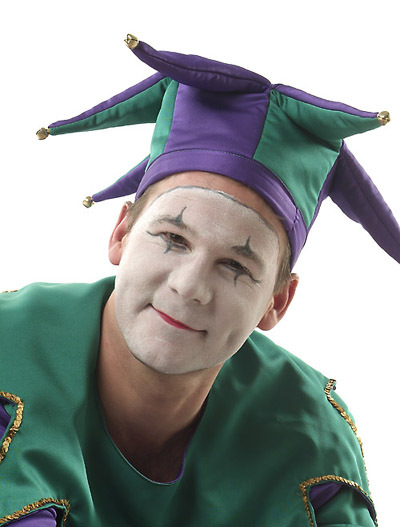 Immaculate face paint and a beautiful outfit highlight the jester, which doubles perfectly as a Mardi Gras character.